The BVI's is a member of the International Organization of Securities Commissions (IOSCO), the Caribbean Financial Action Task Force (CTATF) and the Organization for Economic Cooperation and Development (OECD), and has been 'white listed' by all three organizations and continues to remain in good standing with all other international financial bodies. The British Virgin Island economy is the most prosperous in the Caribbean. Together with a high per capita GDP, nearly 100% literacy rate, and a strong legal and accounting presence, the BVI's give you everything you could ask for an offshore financial jurisdiction. A BVI offshore company pays zero income tax. There is no British Virgin Islands tax on capital gains tax, nor are there gift taxes, inheritance taxes, sales taxes, or value added taxes. Leading international legal and accounting businesses have a strong presence in the BVI and enjoys a strong international reputation in the Funds and Investments, Corporate Business, Ship and Aircraft Registration, Captive Insurance and Trust and Estate Planning. The BVI has signed over 17 Tax Information Exchange Agreements (TIEAs) including agreements with Britain, France, Germany, Italy, and Spain. The BVI has a sub-tropical climate, pristine waters and is a premier destination for those who love yachting, water sports or cruises. 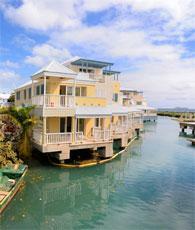 The BVI enjoys strong ties with the U. S. Virgin Islands as well as with Puerto Rico. The U.S. dollar is the currency used within the BVI. Being a member of the British Commonwealth, the BVI ahas strong ties both with the UK and the EU. Although both the BVI population and the size of the GDP is smaller than is the case with most nations, its per capita GDP exceeds US$38,000 (2008 estimate). The government of the British Virgin Islands is noted for its stability. The law in the territory is based on British common law. 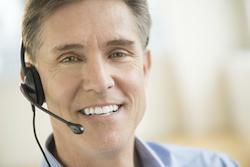 The BVI offers a significant amount of flexibility in the way which corporate mergers and acquisitions can take place. BVI companies and foreign companies are allowed to merge and existing companies are allowed to transfer to or from the BVI. 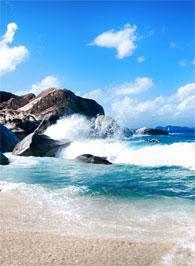 The British Virgin Islands are located in the Eastern Caribbean. The territory lies to the east of Puerto Rico and is in close proximity to the northeast of the US Virgin Islands. There are approximately 60 islands and islets in the BVI of which 16 are inhabited. The total land area is 151 square miles and the largest island is Tortola, which is where the capital and commercial center is located. The islands that make up this British Territory are either flat coral islands or steep and hilly volcanic islands. 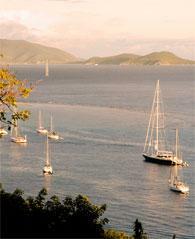 Constant trade winds make the BVI climate both subtropical and pleasant. The BVI is an internal self-governing overseas territory of the United Kingdom. The Chief of State is the Queen of England who is represented by the BVI Governor. The BVI Prime Minister is the head of government. The Prime Minister’s cabinet, the Executive Council is appointed by the Governor from members of the Legislative branch’s House of Assembly. The leader of the majority party (or of a majority coalition) in the House of Assembly is normally appointed by the Governor, who takes the Prime Minister position. The House of Assembly is a unicameral body consisting of 13 elected seats together with one non-voting member, the attorney general. Members are elected by popular vote and serve four year terms. The highest court is the Eastern Caribbean Supreme Court. The British Virgin Islands features one of the most prosperous economies in the Caribbean with a per capita GDP that ranks within the top 20 in the world. Approximately 60% of the BVI economy is based on financial services, primarily offshore financial services, with the bulk of the remainder based on tourism as the BVI’s have has become a cruise ship destination in recent years. There were nearly 448,000 active BVI companies in 2012 with company incorporation fees accounting for nearly half the BVI’s annual revenues. The territory is amongst the largest in the world for the formation of offshore investment funds, second only to the Cayman Islands. Similarly, the islands attract a huge amount of foreign direct investment and is second only to Hong Kong with current estimates amounting to upwards of US$125 billion a year. What is now the British Virgin Islands was first sighted by Christopher Columbus is 1493. The Dutch were the first to establish a European presence on the islands but came under British rule in 1666. English is the official language as well as the language of business and commerce as well as the most widely spoken language in the islands. The BVI population was estimated to be at 32,000 in 2013. Approximately a third of the population lives in the capital Road Town while 41% of the population lives in an urban setting. A large majority of the population is of Afro-Caribbean origin (82%) with Caucasian (6.8%) and the remainder coming from either Indian or of a mixed descent. 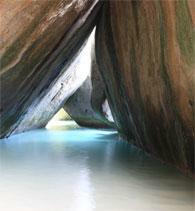 The national holiday in the BVI is Territory Day, which is celebrated on July 1. Among the various events and festivals of importance the most important is the Emancipation Festival, an annual event celebrating the end of slavery in 1843. The love of water sports that is characteristic of the islands' inhabitants makes itself known during the Spring Regatta. There is also an annual Music Festival, an Easter Festival, and a Christmas on Main Street event held each year in the capital. The close ties between the BVI and the US Virgin Islands are celebrated once a year on BVI/USVI Friendship Day. The British Virgin Islands has no exchange controls. The US dollar is both legal tender and the standard local currency. There are no restrictions on the movement of dollar funds into or out of the BVI. Holders of US dollars may freely convert them to other currencies. The British Virgin Islands law is based heavily on English Common Law. The territory's laws that apply to BVI companies, including offshore companies, are modern and up-to-date and reflect the rapidly changing international financial landscape that include regulations that address the use of e-commerce. British Virgin Islands company law is regarded by international investors as being extremely sophisticated and is therefore subject to being copied by other offshore jurisdictions. 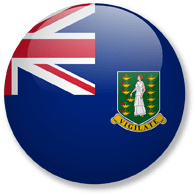 Much of British Virgin Islands company law addresses financial services, key statues being the Securities and Investment Business Act 2010, the Companies Management Act 1990, and the Financing and Money Services Act 2009. The British Virgin Island law provides a stable framework for the formation of offshore companies and for all foreign investors. It is worth pointing out that the BVI government takes some pains to avoid the use of the term ‘tax haven’ lest investors look upon the jurisdiction as a place where tax evasion is practiced, which is illegal, rather than a place where tax avoidance is practiced, which is legal.